If you’ve ever experienced indigestion, a gurgling stomach, or problems coming out the other end, you know taking care of your gut is essential. So why do so many people ignore this advice? Discovering what causes digestive discomfort can be a long, cumbersome process that requires elimination, food journals, and expensive diets and supplements. But because there are several common threads among people with sensitive stomachs, there are some quick and easy things you can do before taking these routes. You’re here because you know you need to do something and we have the tips to help make your gut happy with some quick and easy tips. 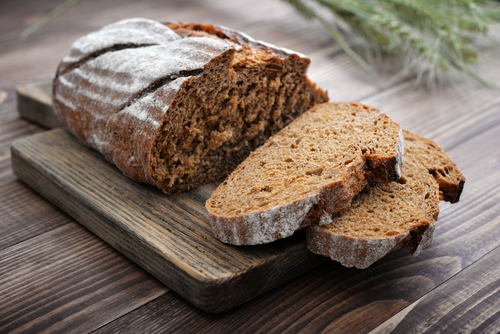 The Bible recommends eating barley and rye, which contain a lot of gluten. However, the barley and rye our ancestors ate are not the same as what we have today. Wheat has replaced many of the healthy grains found in the Good Book, and this is what’s causing problems. To give your gut a break and take the pressure off, we recommend eliminating all gluten containing. A more pressing issue for most folks is the residue of herbicides found in grains as they are sprayed with herbicides for even kill and uniform drying of the grain just prior to harvest. Thus for many folks, gluten may not be the issue but the herbicide residue. It takes about a week for your gut to begin healing itself and about three weeks before you can start introducing organic wheat products back in. Once you do, we recommend starting off with Essene Bread. Most people are dehydrated. In the desert, it wasn’t easy to find water, but in today’s society, most people have access to fresh and clean water. You should be stay well hydrated throughout each and every day and even more if you have health problems. This water does not include coffee, alcohol, or coffee. Your body needs water and not all the extra problems and sugars that come with these other drinks. If you do like your coffee and juice, we recommend keeping them as treats and not as central portions of your fluid intake. Up until about a hundred years ago, fermenting food was one of the best ways to preserve it. What they didn’t know is that the fermentation process introduced millions of healthy probiotics into our system. Today, we know the fermented food is healthy for us, but it’s difficult to find. 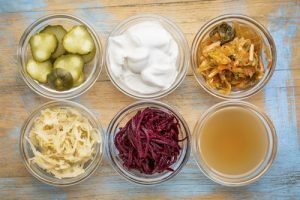 You should be eating several different types of raw fermented foods throughout the week. Choose sauerkraut and any of the other 150 different known types of fermented foods. The probiotics in this food help rebalance your gut bacteria so that the good ones become strong and the bad ones become weak. This rebalance reduces gastric problems. Fasting is quite common in the Bible and found in every religion in the world. And it’s incredibly beneficial for our health. Scientists find that when people fast and the digestive system clears out, the mental fog people experience daily disappears, memory improves and the body is better equipped to ward off neurodegenerative diseases, including Alzheimer’s and Parkinson’s. You can do up to three days of general fasting without harming your health. If you want to go longer, we recommend talking to a nutritionist to make sure you get the proper nutrients to be healthy. The cornerstone of all healthy diets is fruits and vegetables. This is where the majority of vitamins and minerals, the phytonutrients that improve our health, and the antioxidants that fight cancer, heart disease, and diabetes come from. Most people should be getting five to seven servings of fruits and vegetables every day. In the Hallelujah Diet plan, we recommend sticking to fruits and vegetables as the most significant chunk of your diet. Try eating as many of them as raw or lightly cooked as possible to retain as many of the nutrients as you can. It’s okay to cook your vegetables if you genuinely enjoy them that way, but know you’re losing out on some nutrition. As you get used to the various fruits and vegetables, slowly transition into cooking them less and less. Having a healthy diet means your immune system is stronger, you don’t suffer from depression and anxiety as much, you can lose weight quickly, and you avoid many of the diseases found in today’s society. The Hallelujah Diet incorporates many of the above suggestions, so it’s a great place to start for anyone looking to improve gut health. Explore our gut-focused rescue kits to get started!